The head tracking is maybe one of the oldest technologies to improve your gaming experience, I remember videos showing Track IR and X-Plane 10. Virtual Reality is quickly becoming a new standard, but it’s not yet. Many computers are not able to support Oculus or whatever visor you want to mention. That’s why the head tracking is still something that generates interest and curiosity within the X-Plane community. By the way the TrackIR is pretty expensive and, of course, we are here with a good, and cheap, alternative. All the electric components costed less than 10€ in a little shop, but you can save up something more buying online. Almost every camera has an infra-red filter that is usually a little lens that doesn’t allow infra-red light to pass. Even though you may see the infra-reds without removing the filter, it will still filter enough, and no tracker may be used. 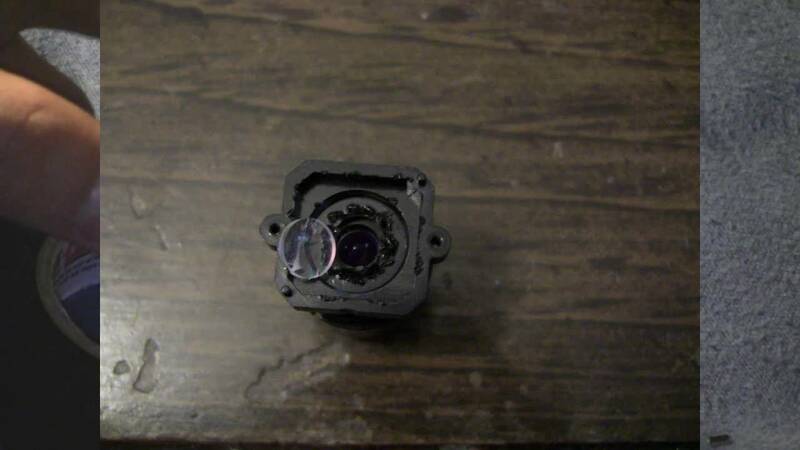 The PS3 eye with the round lens is perfect for this kind of hacking, the one with the flat lens (see the difference below) cannot be hacked without breaking the lens. I won’t make a full tutorial about how to remove the IR filter because there are many better online. Basically you have to open the camera and cut the filter out with a knife (a long and patient work, believe me). After that you must substitute the filter with two layers of floppy disk film or photographic film that blocks all the light except the infra-reds. Before you do so, it’s better that you already have in mind how to arrange the cables, the switch and the batteries. Take 10 minutes to decide the better layout of your head tracker, for example the leds must always be outside the shadow zone of your head. Then you have to choose the value of the resistances you are going to use. With my setup I chose 22 Ohm because my room is full of light and I needed the most brightness possible. Anyway you can use also 27 Ohm or 33 Ohm if you are in a medium or in a dark room. Now it’s time to warm-up your welder and start welding the positive pole of the leds (the longest) to the resistance, do that for each led. Then connect the three leds with the battery pack, keep in mind you have to place the switch between the leds and the batteries in order to close and open all the three wires. Once you’re done fix the circuit to the model and to your headset. I used some quick buttons that allow me to mount and dismount the whole tracker very quickly. Now that the dirty work is done you can start dedicating to the software part, which is pretty easy and rapid. In order to track your head you need OpenTrack. The first time you open the software you’ll have to set PointTracker 1.1 as input, freetrack 2.0 ehnanced as output and leave the filter unchanged (accela). First of all click on the small hammer next to the input name. Go through the Camera page and set the resolution you wish (I recommend 640×480 at 75 FPS). Set a minimum point size of 1.5 pixels so it won’t detect any other disturbing point and set the threshold to your needs. Go ahead and close the option window, start the tracker and open the settings again, this time to the model page. Start the calibration and you’re almost done. To allow OpenTrack to track your movement into the cockpit you have to edit your rendering options. Open the rendering options page in the simulator and tick the central option of the three you’ll find just at the bottom of the page. Now go back into the cockpit, start tracking and have fun!